This was a fun little jam to experiment with. 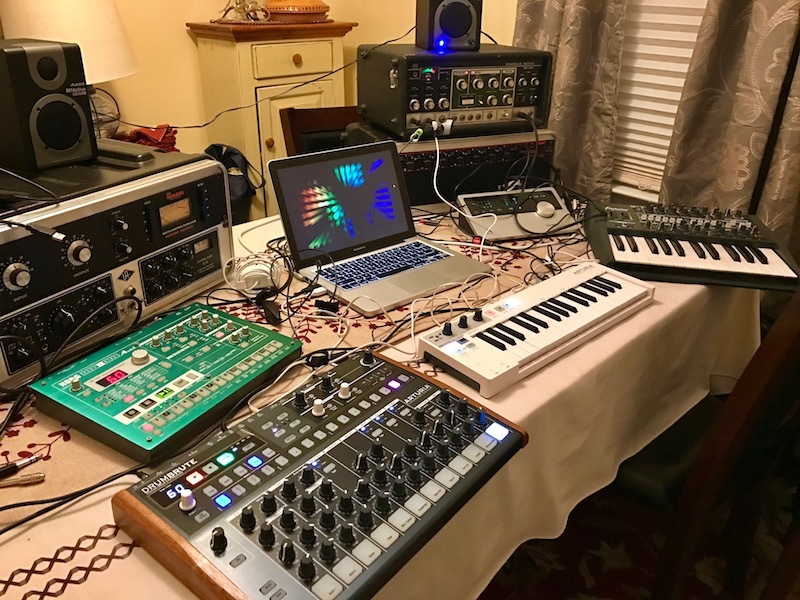 It features an Arturia DrumBrute, MiniBrute, Keystep, and Korg Electribe A MKII, which is a dual monosynth sequencer with effects. I wanted to try some of the individual outputs on the DrumBrute, so I used my Roland Chorus Echo tape delay on the snare and kick outputs. The DrumBrute’s sync out is going to the Keystep’s sync in, and the Keystep is controlling the MiniBrute via CV pitch and gate. The Electribe was purposefully left out of the sync loop, as I was curious how similar the clocks are between hardware. No unit drifted in tempo from each other, so I was very pleased with the result. Check it out!